I decided to go through and declutter some toys I’ve kept for a long time. I kept them for a variety of reasons, but those reasons don’t matter now, because I’ve decided I don’t need to keep them anymore. 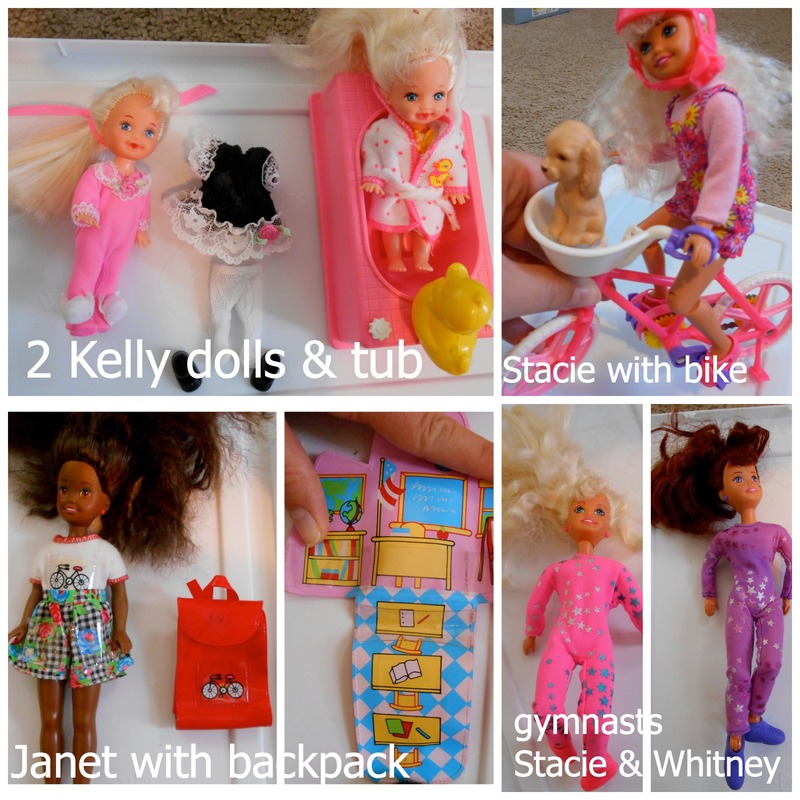 I had a duffle bag with Barbies and her friends, her clothes, her accessories. First, I took pictures of everything – for two reasons. 1) I will keep some photos for memory’s sake. I put every doll in the clothes she came in, and photographed every doll as well. I made collages. There were far too many photos for anyone to really care about. So I used PicMonkey, a FREE photo editing service that is online (you don’t even have to download it!) I’ve only recently discovered PicMonkey and I’m so glad, because you can make collages: just what I needed. I organized the outfits by category and put each category in a collage. For some, I had to make 2 collages and then make a collage of the 2 collages. I made captions. I also used PicMonkey to add words to some photos so I wouldn’t have to caption each individual picture everywhere it was posted. I decided on fair pricing. Since I am selling the toys individually OR as a set, I figured out how much I would charge for each item – within reason. I chose to sell all clothing, accessories, and pets as a set. 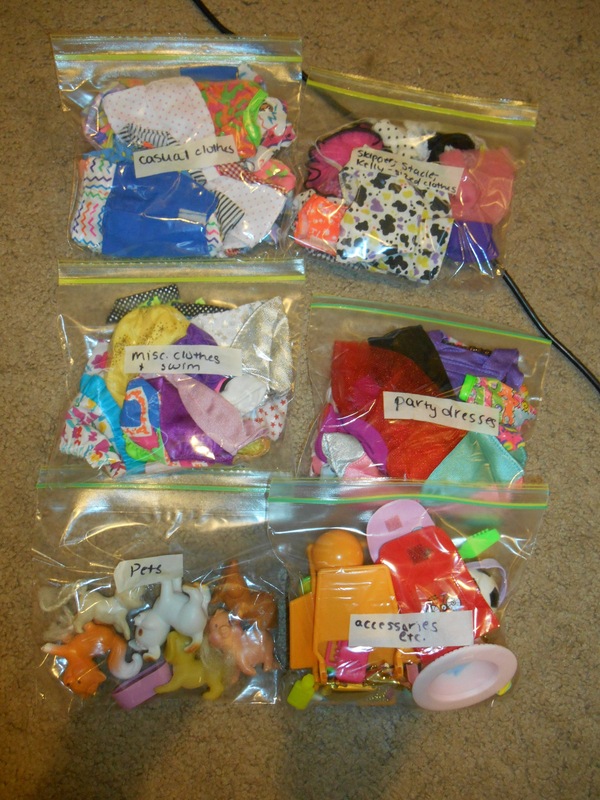 Still, I put them in separate labeled bags. The dolls are just in a large boot box for now, as well as the larger accessories. I asked a second opinion on prices. My mother-in-law frequents thrift stores, and told me that $5 a doll was a little hefty as they retail for $1 at thrift stores. She suggested I compromise, and I did. I have one item for just a dollar, so I made another item worth $4, and it evened out to a nice, round number. I don’t want a buyer to have to carry around four $1 bills, nor do I want to carry change. I decided where I would meet. For sales like this I always meet in a public place, like a gas station parking lot (they have cameras out there!) or the mall parking lot, because everyone knows how to get to the mall, even if they are from outside of town. I did NOT post my phone number or email address. On Facebook, anyone can privately message me, and CraigsList automatically allows for emails to reach you without exposing your e-address. The only thing I posted was the town I am in, because I am not willing to travel. Patience is key. I know I may not get any responses to the Barbie posts right away. Sometimes I have lucked out; I sold some Legos recently where three people were interested very early on. This does not always happen. I am willing to live with the clutter – organized into bags and boxes – for a little while before I just donate it all. I’d love to make some money on my childhood memories. Have you sold your clutter online? One person’s trash is another person’s treasure! Do you have any tips for selling? 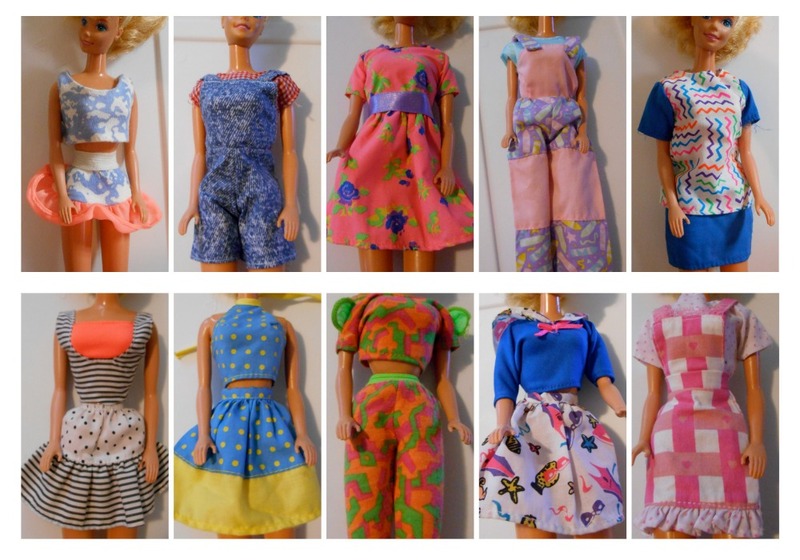 This entry was posted in Declutter, Organization, Selling online, Uncategorized and tagged Barbies, craigslist, declutter, facebook, online sale, online selling, organization, organize, organized, selling, selling online, tips, toys. Bookmark the permalink.